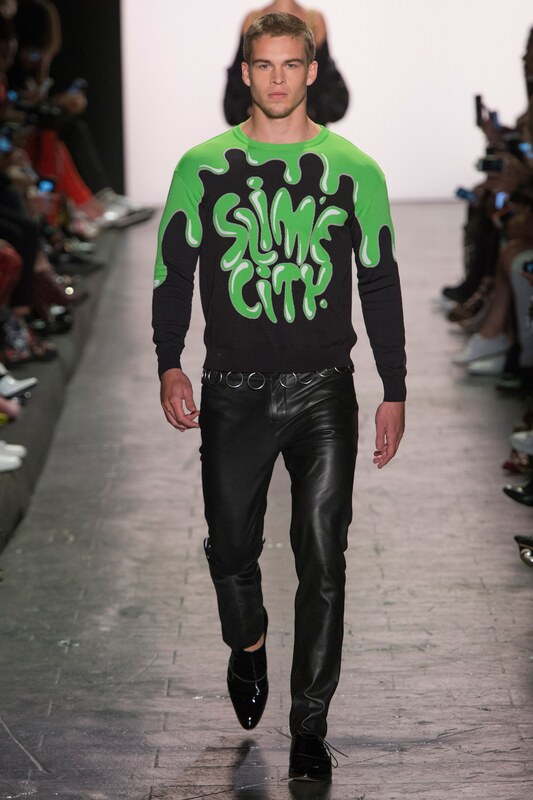 Moving to the synthesized beat of the Big Apple in the 1980’s, it was the era of the New York disco club that dominated Jeremy Scott‘s show from start to finish. A New York awash with artists quoting Andy Warhol and the Memphis design movement, a time of geometry, rockstars and styles inspired by the iconic stars and stripes, like the poptastic red, white and blue ice lollies. Jeremy Scott’s show paid homage to the city that never sleeps, with an added sprinkling of classic ironic cartoons and some snappy references to the geometric, sculptural couture of Pierre Cardin which triumphed in the finale: architectural shapes covered in sparkling sequins. Oh so very disco queen.